A fundamental component of any successful employee survey program is the action planning that should take place after your data is collected. Before you can start planning, though, you need to get a good sense of what your results are telling you. 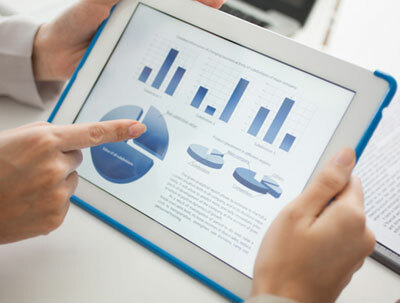 Obviously, a good starting place is to review the reports produced by your employee survey company or, if you have used a DIY survey tool, make use of the reporting tools available to create an overall summary of your survey findings. Strike a balance between reviewing the "big picture" findings ("How are we doing overall?") and concentrating on the details ("What is happening in each potential action area?"). As a quick tip, take a quick look at all your data before you (over)react to any part of it. You will likely have a lot of numbers to look at, with each conveying specific types of information - this can include your overall survey findings, each individual group's survey findings, cross-group comparisons and both industry norms and U.S. norms. Remember that the key point of numbers and statistics is to make comparisons. Numbers and percentages let you see how you are doing in relation to your organization, your benchmark norms, your own goals and aspirations and where you were in the past. In addition to the numbers, you will also likely have another type of data in your survey results - your employees' write-in comments in response to specific questions and their suggestions for how to improve the organization. These written comments will give you context for the numerical results, help in understanding cause/effect relationships and emotional power. Use caution in both sharing and interpreting these comments. In particular, take a measured approach to strongly worded comments � don't overreact but, at the same time, don't ignore or dismiss them. Even if they seem unfair or hurtful, they still represent someone's point of view. As you review your employee survey data, make notes on your positive results, your negative results, unanswered questions and open issues and potential action areas. 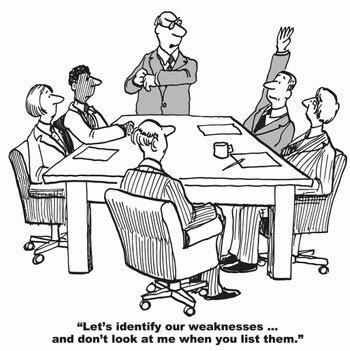 Listing weaknesses and opportunities is relatively easy � go through your data and list every item where the scores are lower than you'd like them to be and/or have lots of room for improvement and/or are critical to your operations, mission, role and/or are a priority for your organization overall. Don�t forget to also note key strengths, since these can be �wins� that you can and should share and celebrate (You weren�t going to just share what needs to be changed, were you? ), potential starting points for improving weaknesses (Can you leverage your current strengths?) and possible sources of �internal best practices� that can be shared throughout the organization. Once you have your list of possible weaknesses and opportunities, think about how those things are related � to each other, to root causes and to possible actions you might take to improve. Are some of the items you identified related in terms of having the same cause? For example, a recent round of layoffs/downsizing could produce low scores in both how committed employees feel and whether they think their jobs are secure. Sometimes things on the list may be related to each other because one is a �cause� measure and one is an �effect� measure - as one example, a low score for overall satisfaction with communications is a potential effect of low satisfaction with communications to/from direct supervisors. Typically, in action planning, you should design interventions that will alter the specific �cause� measures, knowing that improvement in these leads to improvement in the broader �effect� measures. It would be impossible to simply mandate that employees should be more satisfied with their jobs without acting on the factors that are limiting their job satisfaction. It can be useful to sort your list into two categories � �We can fix these� and �We need to live with it (at least for now).� Using the �we can fix these� criteria, your list should now include only things that you can control/influence and you should also have a better understanding of the relevant cause/effect relationships for those action items. So now it�s time to prioritize. Give high priority to potential changes that can have far-reaching effects (e.g., if there are big issues with immediate supervisors, improving the skills/behaviors of these employees may have broad positive effects on many of your survey measurements), areas that are critical to your organizational operations (e.g., if you are a manufacturing organization and you get a lousy score for �attention to safety,� that action item really needs to be on your "to-do" list) and low-hanging fruit. If you can see potential changes to improve a low survey score that are obvious, low-cost and/or low effort, there is really no excuse for not getting those done. Now you should have a short list of priorities for action. For each of these, stop and think about what the change might look like. To get to the desired improvements, will there need to be changes in attitudes, beliefs, patterns of thought? Changes in practices, policies, processes? Changes in behavior, in how things get done and how people approach doing them? Differences in tools, equipment, physical surroundings, other resources? Differences in training, hiring? And so on. Once you have visualized the changes, now identify the leverage points, meaning the actual initiatives you will carry out. Develop these using this simple definition - �Someone (a person or an organization) will do something to someone/something else (a person/group/organization or object) to achieve a clearly-defined goal.� Here is an example to get you started: �All supervisors will conduct individual discussions with each of their employees regarding the employee's career goals no less than once per quarter." It is essential that you create one or more of these �intervention sentences� for each of the action priorities you have identified. Once these are done, you'll be well on your way to creating an effective and meaningful Action Plan. As additional support to your analysis, consider using proven statistical techniques to identify the key drivers of employee satisfaction. Tools like correlation analysis and factor or regression analysis will highlight the most important areas to focus on from your survey results because these areas will bring the greatest overall benefits in improvement action planning. And lastly, avoid the temptation to spend lots of time over-analyzing the employee survey results and re-cutting the data in lots of different ways. We call this "Analysis Paralysis" because it gets in the way of focusing attention on taking improvement action. While the data from the employee survey will not provide you with all of the answers you need, neither will "slicing and dicing" it numerous additional ways. Your employee survey results are intended to provide a catalyst for real action and, to put it bluntly, constant analysis will never lead to organizational change. Your audience or, more likely, your various audiences (such as senior leadership, the board, middle management, frontline supervisors, individual task forces responsible for action planning and employees as a whole). Consider some of the differences you might face in sharing results, action plans and progress with these various audiences. What you want each audience to know, feel or do as a result of having the information shared with them. Do you want them to learn facts, such as numbers, opinions and trends, that they didn't know before? Do you want to change how they feel? Are you looking for them to feel proud, concerned, inspired, etc. Do you want them to actually do something? Make decisions, take action, participate in making changes, alter policies/processes/their own behavior? Or do you want all three of these to occur? The content, form and format of what you will are presenting to each audience. Are you sharing information, analysis/interpretation, opinions, plans, progress reports? Are you providing each of your audiences with all of the information or a synthesis of it? What mix of formats will you be using � words, pictures, charts or some other format? And how will you share this information? Will it be in in writing, via meetings or a combination of both? The frequency and timing for this data sharing. Think about how often each audience needs to be kept in the loop? Is it at designated regular intervals? Whenever there's "news"? Or when a specific phase of the process or action item is complete? Provide a "topline" summary of the key findings to share with employees as quickly as possible after your survey has closed. This will ensure that the momentum and interest that has already been generated will be maintained. This summary, which can be in the form of a short memo, email blast or newsletter article, should thank employees for participating in the survey, announce the overall level of participation (especially if it is high) and briefly identify the leading organizational strengths and primary opportunities for improvement. It is also extremely important to lay out a timeline for action planning so that employees will know when they will hear about the specific plans and start to see improvements being implemented. For your more formal reporting, adopt a phased roll-out of survey results, starting with a high-level overview followed by more detail at the business unit or departmental level. This approach helps all stakeholders easily absorb the results and not become overwhelmed by them. Although department leaders and frontline managers are usually most interested in the results for their own teams, stress the need for them to review their findings in the context of the results for the organization as a whole. Face-to-face feedback of results to employees is the preferred communication method and, although this may not be logistically possible within extremely large organizations, it is essential for the feedback of local team results. Proving summaries of the employee survey data in person gives employees a chance to ask questions, lets them suggest the root causes behind the results and reinforces their integral role within the process as a whole. Do not dress bad news up as good news and likewise do not hide bad results. Honesty is critical if you want to involve employees in improvement action planning since they will quickly suspect or identify anything that is being hidden. At the same time, it is equally important to highlight and celebrate positive results and recognize what organizational factors are driving them. No employee survey presentation should focus on "doom and gloom" entirely. Add interpretation to the results so that the your various audiences can put the findings into a realistic context. We find that, used judiciously, the open-ended comments can really help to highlight findings by showing how they are expressed in an employee's own words. Before distributing your sub-group or departmental reports, ensure that managers are familiar with what report they will get and what they need to do with that report. The test of whether this has been successful is whether managers are able to interpret and identify the key strengths and weaknesses for their team within an hour of receiving their report. Emails, blogs, Intranet articles and memos are great for thanking employees for joining in the survey process, sharing your initial results and introducing or updating action planning and task force activities to the whole group. Survey feedback sessions are really appropriate for presenting a summary or highlights of the larger results in a large group setting with some opportunity for Q & A � it is also helpful to include either some direction on action planning or the actual initiatives to be implemented. In our experience, simply sharing the survey findings without addressing the action to be taken may be frustrating and unfulfilling for your employees. Multi-disciplinary task forces can be created to work on specific action items, so they would need to get the full detail on the findings relating to that issue rather than needing to review all of your findings. One final tip that will help ensure you "get the word out" in an effective and efficient manner is that it�s much better to communicate too early/too often than too late/too little! As noted earlier, the guiding principle of employee research is that, if you are not prepared to act on the survey results, then do not conduct the employee survey in the first place. You have spent time and effort getting employees enthusiastic about giving their feedback and they now have high expectations that there will be improvement activity that will impact their working lives directly. Although moving from survey results to action is the most important part of the process, it's also the activity that many organizations fail to successfully achieve. One of the main reasons for this failure is the lack of a clear and coherent process for action planning throughout the organization. The ideal situation is that each organizational "leader" (ranging all the way from senior management down to the localized frontline manager/supervisor) who receives an employee survey report should work directly with their team to identify and prioritize the three to four areas that most require improvement and then develop and implement an improvement action plan that is regularly reviewed and updated. In this section, we reviewed the key principles and offered some useful guidelines for employee survey analysis, reporting and follow-up survey planning. 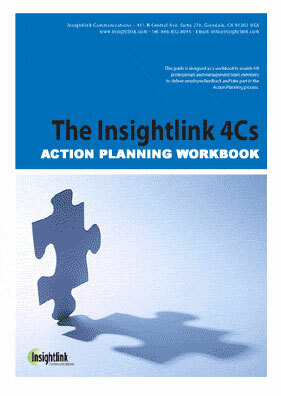 In our last section, we'll share our experience and tips for getting the most value from action planning specifically.